World exclusive Jaguar XJ review | What Car? Fancy being one of the first people in the world to get your hands on the all-new Jaguar XJ? This high-tech stunner is a car that will bring a whole new range of fans to the luxury end of Jaguar's portfolio, as well as appeal to Big Cat traditionalists. What Car? 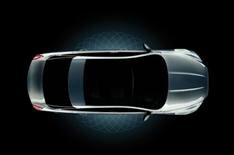 is offering six readers the chance to take part in a private preview of the XJ. You'll get inside a car which combines sleek, modern, sporty styling with a luxurious interior that has something for gadget fans, too. The preview will take place from 6.30-8pm on Wednesday, July 15 at an art gallery in central London. If you'd like to take part, email [readertestteam@haynet.com](mailto:readertestteam@haynet.com?subject=Jaguar XJ preview) by midnight, Wednesday, July 8, including the following info: where you'll be travelling from on the day, your mobile number, what car you currently drive, and a few lines on why you're interested in seeing the Jaguar XJ. We'll get in touch on Thursday, July 9 if your application has been successful, with further details of the event.